The Max Foundation has a full range of global programs and services, all focused on serving people living with cancer. When Carmen was diagnosed with chronic myeloid leukemia (CML), a type of blood cancer where the bone marrow overproduces white blood cells, the 59-year-old mother and grandmother feared the worst. She was relieved to learn that, with treatment, her CML could be managed. Unfortunately, like many patients with this chronic disease, over time she stopped responding to the first-line drug therapy. Carmen was devastated. Her doctor prescribed a next-line treatment, but Carmen then feared she would be unable to afford the medicine. “My children did not know that I had already sewn my dress in preparation for my own funeral,” Carmen says. “I was hopeless and felt that I would not be able to get well.” Today, Carmen receives her medicine at no cost, thanks to the efforts of The Max Foundation, an organization whose mission is to increase global access to treatment, care and support of people living with cancer. The Max Foundation was founded in 1997 by the family of Maximiliano “Max” Rivarola, who died at the age of 17 from CML. We have partnered with The Max Foundation for many years on treatment access and helping to make life-saving medicines available to patients in low-income and lower-middle-income countries such as the Philippines, where Carmen lives. Today, The Max Foundation’s treatment access model – known as Max Access Solution (MAS) – facilitates product donations from Bristol-Myers Squibb and five other companies to treat CML and other cancers and works directly with a network of healthcare providers to get those treatments to patients. "The only thing worse than hearing that your loved one has cancer is to hear that there is a treatment, but because of where you live, you can’t have it,” says Pat Garcia-Gonzalez, Max’s stepmother and CEO of The Max Foundation. 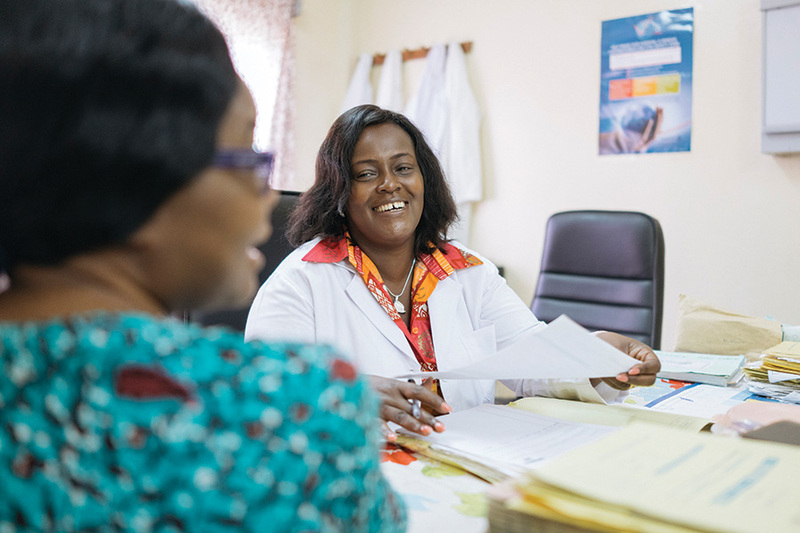 “By working together with partners such as Bristol-Myers Squibb, we are able to help change that.” Partnering with organizations such as The Max Foundation is just one way we bring our patient-centered approach to life, beyond the discovery and development of innovative medicines. “Bristol-Myers Squibb is not just manufacturing the products that may extend patients’ lives, but it’s working with organizations to help ensure access to treatment around the world,” Cathy says.